Source: Won from (?) Sorry if you gave this to me! I can't remember! On Lily Sanderson’s eighteenth birthday she’ll become just a girl—still a mergirl, true, but signing the renunciation will ink Princess Waterlily of Thalassinia out of existence. That leaves plain old Lily living on land, dating the boy she loves, and trying to master this being-human thing once and for all. Now that Lily and Quince are together, mer bond or not, she’s almost content to give up her place in the royal succession of Thalassinia. But just when she thinks she has everything figured out, the waves start to get rough. Lily’s father sends a certain whirlpool-stirring cousin to stay with her on land. What did Doe do to get herself exiled from Thalassinia and stuck in terraped form, when everyone knows how much she hates humans? And why why why is she batting her eyelashes at Lily’s former crush, Brody? The seafoam on the raging surf comes when a merboy from Lily’s past shows up—Tellin asks Lily for something that clouds her view of the horizon. There’s a future with Quince on land, her loyalty to the kingdom in the sea, and Lily tossing on the waves in the middle.  Will she find a way to reconcile her love, her duty, and her own dreams? Like the first in the series, Fins Are Forever is a cutesy, bubbly ( or should I say sudsy? ), quick but entertaining read that is perfect for the younger audience in YA literature. I usually have a hard time with the second book in a series. Either the first book was so good that the second one pales in comparison, or whatever magic it was that made book 1 so good falls flat because it's not new any more. Surprisingly, this didn't happen with Fins Are Forever. Childs provides just enough rehashing of the last book to keep us caught up with what has happened and then jumps right in to the plot. The book starts right off with the introduction of Doe to the mortal realm and keeps going with tons of action and twists until the very last chapter. "How do you always know just what to say?" I ask. His laugh rumbles through me. "Practice, I guess." I pull back and give him a quizzical look. Awwww!! How can you not love a boy who says things like that?!?! Still...I was a little irritated when Lily is so secure in her decision to give up her kingdom for him. I know every teen hates to hear it and every parent ends up saying it, but you just don't know what you want when you are in high school. You don't have enough life experience and just...knowledge to make life altering decisions when you are 16 and 17. You just don't. I know I hated when people said that to me as a teen, but looking back it is 100% true. When I look at how much I changed in the few short years I was in college alone it's amazing. In high school, little things like the popular kids and going to prom are your biggest worries. You don't become who you truly are until you are exposed to the pressures and decisions of being an adult, and Lily hasn't experienced those yet. I feel like it was a little unbelievable to expect her to make all of these impossible descisions when she's so young. Kind of...forced and cliche...a little bit...but still cute! I admit that I had no clue whatsoever that the book would end the way it did. Childs really amps up the drama and angst in this book so that you barely know what's coming at you next even though the plot and characters seem so simple. 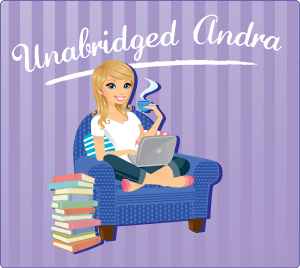 There is a TON going on at all times, from college prep, to earthquakes, to attempts at stealing the throne and everything is exciting and adventurous enough to keep you reading until you've finished. I read it in just one sitting of an hour or two. I give Fins Are Forever 4 Keys. It is what it is supposed to be, which is light-hearted, sweet, adventurous book for Tweens who will go crazy for the cutie-Quinn and want to swim off to be princesses in the ocean themselves. I just learned that there will only be 3 books in the series and I am oddly kind of sad. This isn't the kind of book that you spend hours talking about to anyone who will listen, but it is a really cute and uplifting story. If you liked the first one, or any of Tera Lynn's other books, you will definitely like Fins are Forever. Like the first, it seems a little young...like it's suited for pre-teens and tweens...but it's still a light, cute, enjoyable read. OH WOW, I love this series!!! This book was Crabbtastic!! 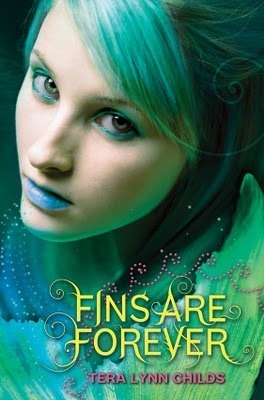 In Fins are Forever the story continues right where Forgive My Fins left off with Lily being madly in love with Quince but deciding that she is interested in giving up her crown in Thalassinia as future queen to stay as a human on land forever with her boyfriend Quince and seek out college and a new life.